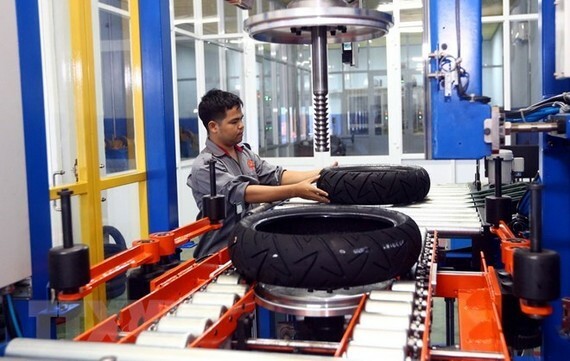 Ho Chi Minh City’s industrial production index tended to stall, up only 6.07 percent in the four months this year compared to 7.09 percent one year earlier, said Deputy Director of the municipal Department of Industry and Trade Nguyen Huynh Trang. During a meeting held by the municipal People’s Committee on May 2 to discuss local socio-economic-cultural affairs, State budget collection and spending for April and major tasks for May, Trang said 99 percent of firms operating in the city are micro, small and medium-sized ones so that their competitiveness is limited. Meanwhile, foreign-invested enterprises have contributed to 35.5 percent of the city’s industrial production value over the past five years. The city now makes up 32 percent of the total industrial production in the southern key economic zone and nearly 16 percent of the country’s total. The growth of the city’s industrial production index has been lower than the country’s average in the recent five years. 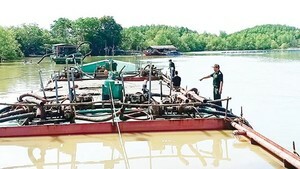 Trang said the local economy continues to switch to services that account for 59.54 percent of its gross regional development product in the first quarter. During the four months, mechanical engineering expanded by 2.48 percent, lower than 18.89 percent recorded in the same period last year while manufacturing of motorised vehicles was down 26.8 percent compared to an 84.19 percent rise year-on-year. It was partly due to the adoption of Euro 4 emission standards from January 2018. Chairman of the municipal People’s Committee Nguyen Thanh Phong asked the department to advise the city to issue development plans for key products, improve competitiveness, and develop trademarks.